London mayor Sadiq Khan agreed to continue with Boris Johnson’s plans to build the controversial Silvertown Tunnel within weeks of taking office, despite promising a “proper joined-up review” into the project while standing for election. Documents released under the Freedom of Information Act reveal that Khan backed the tunnel after receiving a briefing from Transport for London representatives on 14 June, just five weeks after he took office. Officials were then charged with making the proposals more palatable to the public, from offering free bus services and residents’ discounts to adding cycle racks to existing buses. The £1 billion project – which would provide a new toll road from the Royal Docks to feed into the A102 at Greenwich Peninsula, and would toll the Blackwall Tunnel – is currently going through the planning process, with a series of public hearings taking place until April. Later this year, planning inspectors will recommend to the government whether to approve or refuse the scheme. Full disclosure: I’m part of the No to Silvertown Tunnel campaign that is challenging the scheme, however, the opinions expressed in this story do not represent the views of the campaign. I’m also a registered objector to the tunnel as an individual. Khan had pledged “a proper joined up review, looking at river crossings and improved public transport connections east of Tower Bridge, but in a strategic fashion, not piecemeal like the current mayor”, when interviewed about the project by Transport Network in April 2016, ahead of May’s election. By 27 May, this had become a commitment to “review the merits” of the scheme. But a TfL briefing note says Khan agreed to its proposals less than three weeks later, and the review would merely be about “improvements”. This is despite opposition to the tunnel from Labour councils in Lewisham, Southwark, Hackney and now Newham, which has reversed its earlier backing for the scheme. Khan also appears to have quietly dropped plans for further road crossings at Gallions Reach and Belvedere. The Gallions crossing has been a long-cherished aim for London’s Labour councils, and was a supposed condition for Greenwich’s backing of the Silvertown scheme. Neither project appears in TfL’s latest business plan, released last month. While politicians in Greenwich and Tower Hamlets are going through the motions in still supporting the scheme, the project has come under sustained attack from their council officers at planning hearings, which resume today. The Greater London Authority was asked for the terms of reference of Khan’s review, as well as the advice sent to Khan and deputy mayor Val Shawcross, their responses, as well as details of who was consulted. There is no record of anybody outside the GLA or TfL being consulted by the mayor’s office, despite the widespread concern about the proposals from neighbouring councils. The GLA sent a Powerpoint presentation from TfL to the mayor from June, when he agreed to back the scheme; as well as a later presentation outlining options to make the scheme more palatable. There is also a note from GLA head of transport Tim Steer to Shawcross outlining the problems with residents’ discounts. You can see the documents for yourself here (12MB PDF). However, there is no sign that any of TfL’s assertions about the scheme – apart from on tolling – were scrutinised in any way by the mayor or his deputy. This includes its claim that “no additional traffic will be generated”, which has been disputed by councils at the planning process. In October, Khan confirmed he was backing the scheme but making it “greener and more public transport-focused, and exploring further benefits for residents who use the tunnel”. “Further benefits for residents who use the tunnel” – which campaigners fear mean concessions for local residents who drive through the tunnel – have the potential to wreck TfL’s traffic modelling by generating even more new trips and causing more congestion. Despite this, both Labour and Conservative politicians on both sides of the Thames are still pressing for concessions. 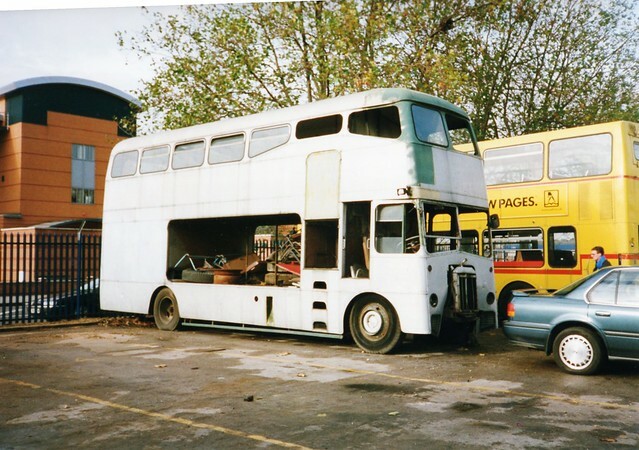 Khan’s main idea to “green” the tunnel was to create a special bus service for cyclists – reminiscent of a short-lived service offered when the Dartford Tunnel first opened in 1963 (pictured above, below is one of the vehicles in a yard in Stratford in 1999). He also re-announced a series of bus services already planned for the tunnel, as well as reiterating his support for a pedestrian and cycle bridge between Rotherhithe and Canary Wharf. The mayor also re-announced past proposals for a ferry between North Greenwich and Canary Wharf and an Overground extension from Barking Riverside to Thamesmead. There was one surprising addition – a pledge to investigate a DLR extension from Gallions Reach to Thamesmead, the first time this idea has surfaced without being attached to a new road. Other plans suggested by TfL but not taken forward by Khan included free travel on the Emirates Air Line between 7am and 9am on weekdays, to be paid for by increasing “leisure fares” on the cable car. Planning hearings into the scheme began in October and resume today at the Excel centre in the Royal Docks. A three-strong panel is hearing arguments from TfL and interested parties, mainly boroughs and local landowners. 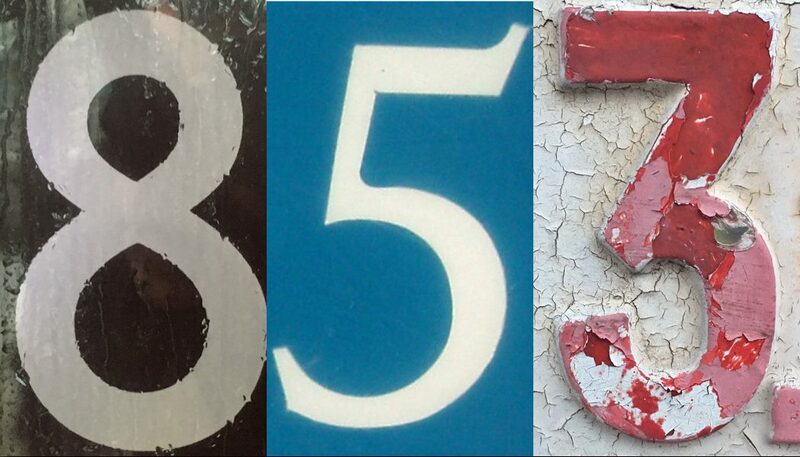 What has been striking so far has been the tough reception TfL’s plans got from all boroughs. None of them are happy with TfL’s traffic modelling. This is a problem for TfL, because all its other forecasts, from the economy to pollution, derive from how much traffic it thinks will use the tunnel. Most strikingly, Greenwich Council’s senior transport planner, Kim Smith, told hearings last month that the council was worried the “local network would suffer” as a result of the tunnel’s construction – something campaigners have been warning about for four years, and that appears in a report the council buried nearly five years ago. Her opposite number at Newham, Murray Woodburn, pointed out that TfL’s record in assessing demand for river crossings was “not exactly fantastic”, pointing out that the Woolwich Arsenal DLR extension proved to be twice as busy as predicted. “We as host boroughs have no option other than to treat the highway impacts… with very little confidence,” he told the hearing. Much of this depends on the calculations that go into the modelling itself – the boroughs challenged the “value of time” used in the forecasts, saying that economic conditions in this part of London are vastly different from the rest of the country. But the tolling also plays a part – so we learned that TfL has only modelled what would happen if tolls increased by 20%, which would only take the maximum charge for a car up to £3.60. TfL has also admitted it could reduce charges if the tunnel was less busy than forecast – jeopardising traffic levels on other roads and possibly increasing pollution. You can see a Storify summary of one of December’s hearings here. But while Murray Woodburn’s boss, Newham elected mayor Sir Robin Wales, has “politically repositioned the council’s stance” on the tunnel, Kim Smith’s employers at Greenwich are still singing the same old songs written by former leader Chris Roberts. Smith told the planning hearing the council only ever supported “a package of crossings” (ie, including the now-dropped Gallions crossing), which is consistent with the council’s submissions to earlier consultations on the scheme. But a few days later she was contradicted by current transport cabinet member Sizwe James, who has been lumbered with the job of defending the council’s stance, at a scrutiny panel meeting. These are where backbench councillors interrogate (or at least gently probe) senior councillors and officers on how things are going. 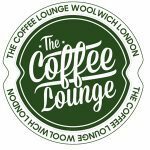 Much of the Regeneration, Transport and Culture scrutiny meeting was about Greenwich’s policies on air pollution – which falls under the remit of deputy leader Danny Thorpe’s regeneration portfolio. Thorpe enlisted TfL’s David Rowe – a genial chap who’s in charge of much of the politics and practicalities around the proposal – to answer questions from councillors on the Silvertown Tunnel and air pollution. Even worse, by the time the meeting had got around to transport questions – where the meat of the Silvertown scheme could be dissected – almost everybody had cleared off, including Thorpe and Rowe, leaving James – who has only recently taken over transport from Thorpe – isolated. James told the panel that the council supported the tunnel’s construction in isolation. “We have been consistently supportive of a package of crossings… but that is not the only reason we’re supporting Silvertown, it’s also about resilience and supporting growth,” he told the meeting on 13 December. But James then managed to contradict himself on that point, as well as Smith’s comments to the planning hearing. Either the council supports the Silvertown Tunnel on its own, or it supports more than one crossing, surely? After an awkward silence, Greenwich’s assistant director of transport, Tim Jackson, intervened to point out that “if TfL were here they would say” that tolling would control traffic levels. But TfL had gone home – and Jackson’s colleagues have been taking TfL to task on the question of tolling at the planning hearings, something he didn’t tell the panel. So Greenwich councillors were denied the chance to properly scrutinise the council’s line on the scheme, and learned nothing about how the council is approaching what is a complex set of public hearings on the scheme. Then James was taken to task by Greenwich West councillor Mehboob Khan, who, in short, told him he was too bright to come out with that crap. “Southwark have formally objected on the basis of increased traffic going through the west of our borough through Lewisham and Southwark towards Rotherhithe [Tunnel]. That’s the council’s official position,” he said. “Lewisham have objected. Hackney have objected. Tower Hamlets objected [it did in an earlier consultation]. Greenwich didn’t. Someone’s right here, and somebody’s wrong here. Their objections aren’t, in principle, to Silvertown – it’s about the mitigation of the problems caused by it not being dealt with by TfL. “You meet TfL on a regular basis – you’re new to this portfolio this year. And perhaps you don’t want to be tainted by past portfolio-holders’ stances.” At this point, John Fahy pretended to cuff Khan around the ear. James agreed he would look again at the council’s position. But frankly, the damage has already been done by his predecessors, who mistook criticism of the council’s stance for politically-motivated attacks. It’s now left Greenwich in an embarrassing position of backing a scheme it knows will damage the borough. Khan can still stop it – but do local politicians care enough? Before Christmas, the West Ham constituency Labour party passed a motion against the scheme, and there are rumours of new rumblings against the Silvertown Tunnel south of the river too. But it’s too late to take their complaints to council leaders – they’ve already made their minds up. If they really wanted to stop the scheme, they would be taking their concerns straight to Sadiq Khan and Val Shawcross, which would mean overcoming their reluctance to embarrass the Labour mayor and his transport deputy. Even at this late stage, the tunnel certainly isn’t a done deal – especially with the fierce criticism it’s getting from the boroughs. Just as with another dodgy scheme inherited from Boris Johnson, the Garden Bridge, many millions of pounds have already been spent on getting the Silvertown Tunnel through planning – and this planning inquiry itself is taking up huge amounts of TfL’s time when the organisation is having its budgets cut. But now we know how slapdash Khan’s “review” was, will any of his friends have the courage to have a quiet word in his ear? Thanks for the update. You’re preaching to the converted with me. It still beggars belief that the council support this ludicrous scheme. What benefit does it bring to the borough? The access roads are already chocker. When it backs up towards Kidbrooke, coaches come off at the Sun-in-the-Sands and then illegally go through Blackheath Standard. Nothing is done. Cars come off the approach at Woolwich Road, go straight across it at the junction, buggering the roundabout up, onto the next junction with Blackwall Lane and then illegally turn right and left to re-enter the approach. This adds to the congestion and pollution for locals not using the tunnel. Again, the council/law enforcement do nothing. Nearly 1000 Londoners a month died from air pollution in 2010 (http://www.bbc.co.uk/news/uk-england-london-33536989 — just a quick Google that, there are probably more up to date figures). Very little of the traffic using the tunnel adds to the local economy. All of the traffic adds to local pollution. Why does the council want to attract more? Great summary. 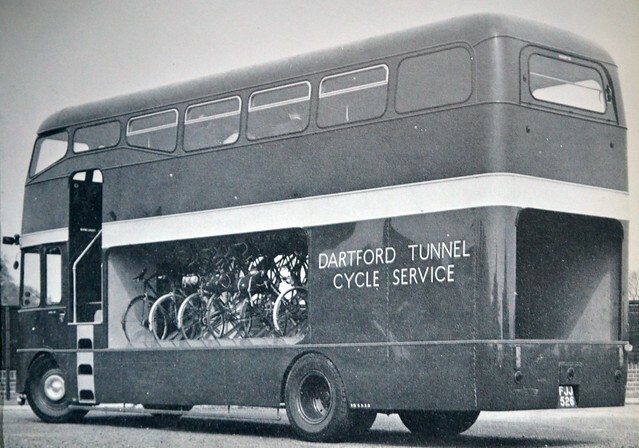 One trivial clarification: there’s still a service to carry bikes through the Dartford tunnel, it’s only the buses which were scrapped. I’d never seen those photos, good find.